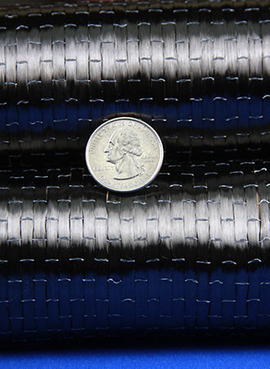 Warp unidirectional carbon fiber reinforcement, fibers are oriented on the 0 degree. Use to add stiffness where desired. Held together with a hotmelt yarn that allows for easy slitting without fraying. Approx Weight: 0.30 lb. / Foot Dimensions (LxWxH): 25.00 x 4.00 x 0.06 in.